Taken in the Vercors NP, France, on July 23rd 2018. 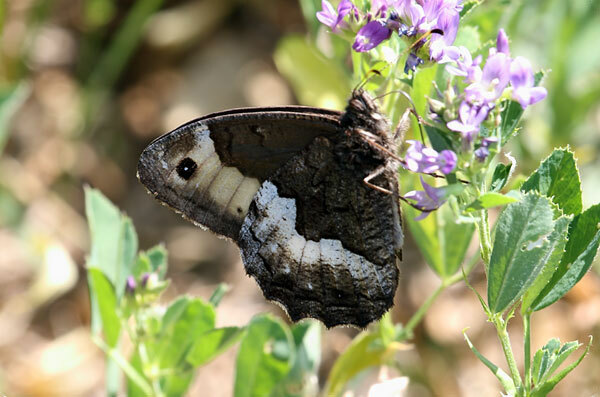 This species closely resembles the Rock Grayling and Eastern Rock Grayling. Identification can only be confirmed by examination of the genitalia. It is widespread but local in S Europe, sporadic in E Europe and commonest in the Balkans. It is found in light woodland and scrubby clearings, usually below 1000m.